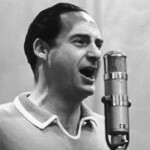 Born in Yonkers, New York, in 1922, Sid Caesar was one of television’s top funnymen in the 1950s and 1960s and has made people laugh throughout his long life. The son of a luncheonette owner, he noted the quirks of his father’s clientele and began mimicking them at a young age, which stood him in good stead later in life. He had musical talent and, as a teenager, played the saxophone in the Catskills, where he would return to play in a band and try his hand at comedy. He continued his musical career in his late teens and early twenties, working briefly with Benny Goodman and, while serving in the United States Coast Guard, the composer Vernon Duke. His comedic talent was at once evident, and he offered stand-up routines along with his musical performances. While in the Coast Guard, Caesar met Max Liebman, who later produced several of Caesar’s television series. In the early post-War years, Caesar performed at the Copacabana in New York and in the Broadway revue Make Mine Manhattan. But the relatively new medium of television was to be Caesar’s main arena, and in 1949 he hosted the new Admiral Broadway Revue, a weekly series produced by Max Liebman and costarring Imogene Coca. Despite its popularity, the show ended after a short run, only to make way in 1950 for Caesar’s best-known program, Your Show of Shows, also produced by Liebman and featuring Coca as one of the regulars, along with Carl Reiner. Among the guest artists who appeared in the 90-minute weekly program were Rex Harrison, Eddie Albert, Michael Redgrave, Basil Rathbone, Charlton Heston, Douglas Fairbanks Jr., Pearl Bailey, Benny Goodman, Lena Horne, and other stars of the day. The writers for the show included Mel Brooks and Neil Simon, and the skits – all performed live – represented a golden age in television comedy. In 1952, Caesar won an Emmy® Award for his work on the show, which ran until 1954. Shortly after the last installment of Your Show of Shows, a new vehicle for Caesar came on the air, Caesar’s Hour, which ran from 1954 to 1957. Among the writers for the show was Woody Allen. Much of the comedy revolved around satirical skits on familiar films, television shows, opera, and drama. Caesar later hosted two more television programs, Sid Caesar Invites You and The Sid Caesar Show. 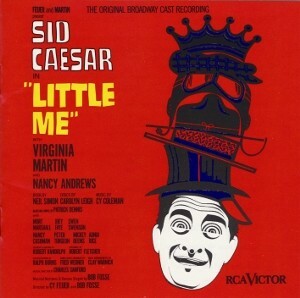 In 1962 Caesar, playing multiple roles, starred in the Broadway musical Little Me, with a book by his old television writer Neil Simon, music by Cy Coleman, lyrics by Carolyn Leigh, and choreography by Bob Fosse. Caesar’s many voices can be heard on the original cast recording. In 1971 he returned to Broadway in Four on a Garden, a series of four one-act comedies, starring opposite Carol Channing and Tommy Lee Jones. Caesar also made appearances in movies, including It’s a Mad Mad Mad Mad World; Silent Movie; History of the World, Part I; Airport 1975; Grease and Grease 2; and Vegas Vacation. Sid Caesar has written two autobiographical books, Where Have I Been and Caesar’s Hours.